A partnership approach between industry and government has made Western Australia a world leader in fisheries management. WAFIC strongly believes that the foundation of good management is decision-making based on scientific research. WAFIC recognises that an increasingly dynamic economic and social environment can affect the way we make decisions about promoting the interests of the State’s commercial fishers and supporting their efforts to protect fish stocks and ensure a sustainable future for seafood lovers. Our relationships with government departments, other industries, fishers, the media and the broader community are an essential part of the way we operate and crucial to our mission. These partnerships, both formal and informal, range from Memorandums of Understanding and co-sponsorship of big community events, to simple agreements to cooperate and communicate with other organisations to achieve mutually beneficial results. 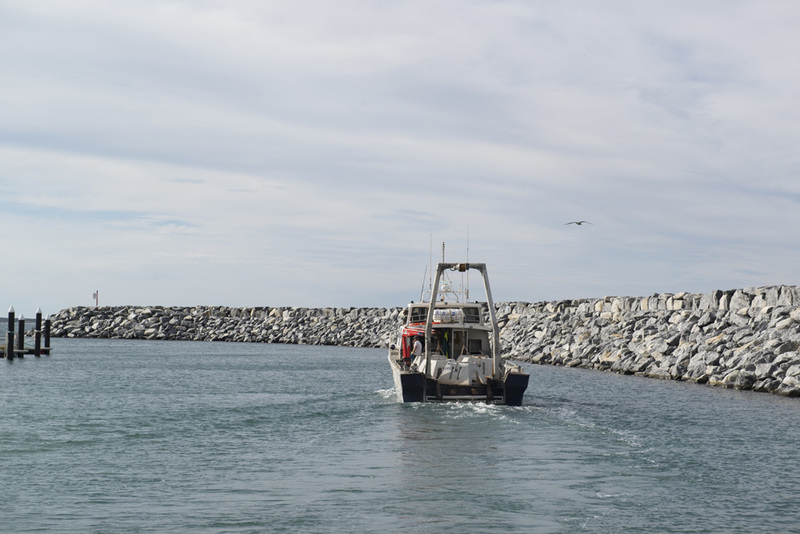 Working with the WA Department of Fisheries on a variety of projects – including the $14.5million MSC initiative. A Memorandum of Understanding with APPEA to improve communication between the State’s offshore oil and gas sector and the commercial fishing, pearling and aquaculture industry. We undertake extensive work with the Commonwealth funded Fisheries Research and Development Council (FRDC) across a wide range of research, development and extension projects. Professional fishermen, whose livelihood depends on the sustainability of the fishery, assist the Department of Fisheries in collecting detailed data. Commercial fisheries are therefore assessed on an ongoing basis from monthly catch returns and research project and any declines in fish stocks are detected early with management actions coming into place where necessary. WA’s commercial fishing, pearling and aquaculture industry also makes one of the largest contribution of any Australian state to the Fisheries Research and Development Corporation (FRDC) – a co-funded partnership between the Federal Government and the fishing industry. See more at the FRDC. Unlike the recreational sector, new restrictions in the commercial sector are not widely publicised, so the wider community is often unaware of the restrictions introduced in commercial fisheries management, or other parameters within which the commercial sector operates. WAFIC seeks to address this issue by working across industry sectors to encourage a collaborative approach to shared challenges and to raising public awareness. Associate member of the iconic green-and-gold Australian Made Campaign. You can find out more about this important program by visiting AUSTRALIAN MADE. Wines of WA provides support to the State’s wine producers and assists regional associations in developing their industry. For more information please visit their site.